Honey Color offers a wide range of products and services at incredibly low prices in Australia. These Honey Color promo codes expire soon, so don’t forget to bookmark this page now. New Honey Color discount: Shop for Neo vision products of minimum USD$20 from Honey Color and save 20% on your purchase. 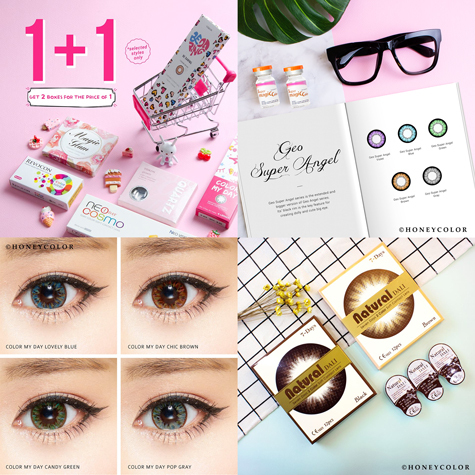 Honey Color free delivery offer: Receive free express shipping on ordering clear contact lens and eye care accessories worth $100 or more. Limited time Honey Color coupon: Buy more save more! Get extra 10% discount on orders over $150. Exclusive Honey Color voucher codes: Grab Viskon product from Honey Color and save 10% on your purchase. Seasonal Honey Color deal & sale: Order Rohto Contact Lens Eye Drops from Honey Color at just $13.90. Latest Honey Color promo code: Get 3 pairs of false Eyemazing No. 006 from Honey Color for as low as $23.90. Honey Color was founded in 2008 in Malaysia. Since then, it has grown to become an international online portal and distributor of fashionable cosmetic color contact lenses. The company provides products as well as information on lenses. Their Cosmetic Circle Lenses tool will enhance your beauty. Each cosmetic color lens is carefully chosen to provide customers with comfort and enhance appearance using biologically safe and high-quality products. Honey Color ships to many international destinations including Australia, USA, Canada and England. One of the best choices to shop top quality makeup products and accessories that goes well with your outfit is Catwalk. Use the latest Catwalk discount code and save big on your order. Eyes are the first thing that people notice about your face and they can add to your beauty. 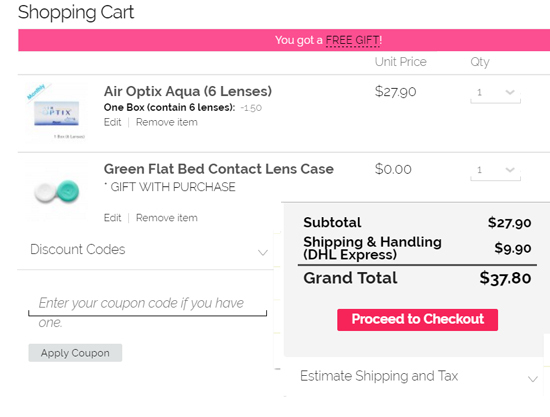 Vision Direct , EyeBuyDirect and Quicklens are some of the leading online retailer of contact lenses and vision care supplies. Check out our store to shop for the most suitable lenses for you from the biggest brands. Also grab savings by using various offers available. Parcels are sent from the Honey Color warehouse in Malaysia. Orders are processed and dispatched within 48 hours from Monday to Friday, 9am to 6pm. Once the order is sent out, a confirmation email will be sent with your shipping details and the tracking number. You may view this information in “My Account”. You may cancel your order within 24 hours of the order time and date. Once the order is dispatched, cancellation is not possible. A cancellation charge of 15% is applicable on your order total, and the shipping fee is not refundable. If you want to return an item, pack it in secure packaging. The item must be in its original package. Returns based on dissatisfaction with color or after use will not be acceptable. Before sending the item back, please complete the form under “Contact Us”. A Return Merchandise Authorization RMA number will be sent to you. Exchanges are only possible on items that have not been opened. Shipping fee on exchanges is applicable. You must request an RMA for an exchange. Exchanges are granted on similar items only. If you receive an item that is faulty, Honey Color will try to replace the item or grant you a complete refund. Replacement items are sent via Standard Shipping.